#BFFmel brings you a summary and additional information from our Facebook Live broadcast on NAILS covering reflexology. Reflexology?! Is it massage? Is it acupressure? Is it Zone Therapy? It’s a holistic therapy involving the application of pressure to the palms and the soles of the feet using specific thumb, finger, and hand techniques. Sounds a bit complicated, right? Not really. When you understand the basics, reflexology is an easy service you can add onto your manicure and pedicure services. We cannot diagnose any medical conditions. 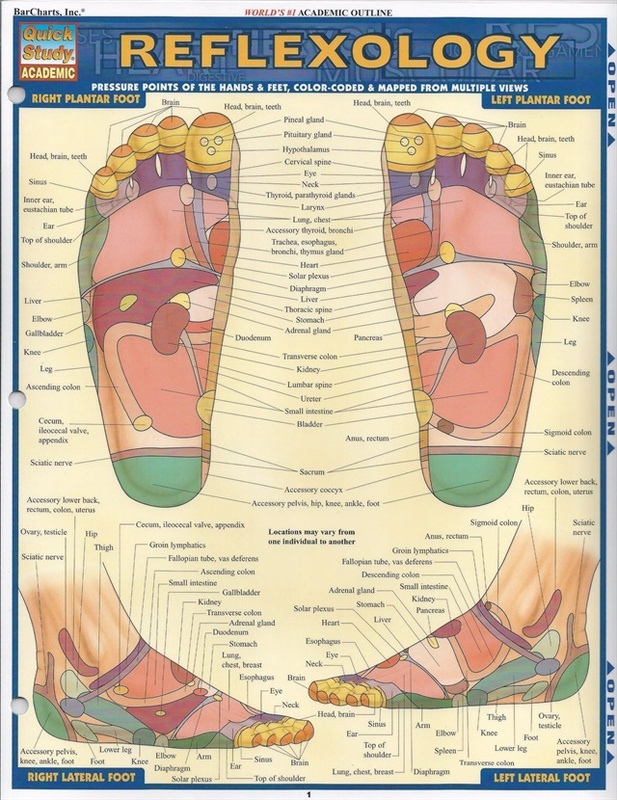 Get familiar with the “mapping” of the palms and the soles of the feet so you can understand which area is affected by working the reflex points. Remember that you should always work in a clockwise motion to ensure the digestive system works the proper direction (you wouldn’t want to back up someone’s plumbing!). Do not manipulate the reflexes associated with the ovaries and uterus on a known pregnant woman. If she is close to her due date, some believe you can help initiate labor, although this has not been proven. As with any service you plan to offer, you should educate yourself, so you are comfortable with the aspects involved. Watching our Facebook Live broadcast or reading this blog post offers an introduction but is not an extensive how-to. My favorite book on reflexology is “The Reflexology Manual” by Pauline Wills. I like this book because it has photographs instead of illustrations and is very informative. There are many versions of the chart (the map) available online, in books, and in laminated charts. You should check with your state’s regulations on reflexology to see what kind of certification is required. If you missed the FB live broadcast, you can catch it on YouTube.